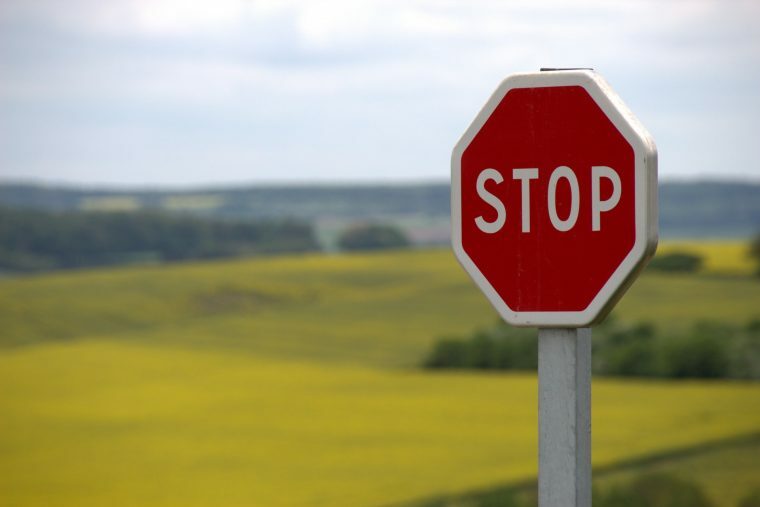 Let’s Settle This: Who Has the Right of Way at a Four-Way Stop? If you get there first, you get to go first. However, there is a common misconception here: this does not mean that if you are behind someone at the stop sign, you get to go in front of the person who is pulling up in first-place at the adjacent stop sign. This rule means that the cars can go in the order in which they arrive directly at the stop sign, not stopped behind other vehicles. To remember the order, go with the pun. When two vehicles arrive at the stop sign at the same time, the person to the right has the right of way. See the pun? Easy peasy. If two vehicles pull up to an intersection and their paths will not cross (example: you’re both turning right), those vehicles are permitted to go at the same time. However, this can be risky if one driver has not opted to use their turn signal, so use your own discretion. If you’re unsure, revert back to rule number two – defensive driving is safest. If you and another vehicle are across from each other and you arrived at the exact same time (unlikely, but it happens), you will only cross paths if one of you is turning left. In that case, the person turning left must yield to the other driver. It’s important to remember these rules to avoid intersection collisions. If you’re ever unsure, yield to the other vehicle. You’re better off yielding and letting them go first than gunning it and ending up in an accident. And remember the golden rule: pedestrians always have the right of way.